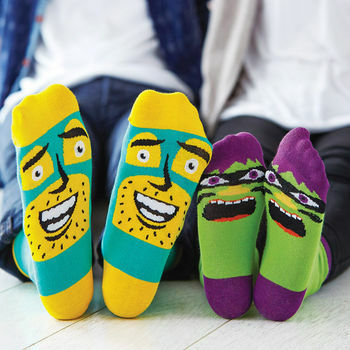 Review: Alternative Father’s Day Gifts….no more socks! With just over two weeks to go until Father’s Day, we have decided to put together some of the best and most unusual gifts we have found from one of our favourite sites notonthehighstreet.com because let’s face it, not only is your father sick of receiving socks every year, but you are tired of buying them 😉 My dad is a keen gardener and he also loves to cook, so when I saw this gift I was rather excited. I really do think he will love it and it is on order as we speak. 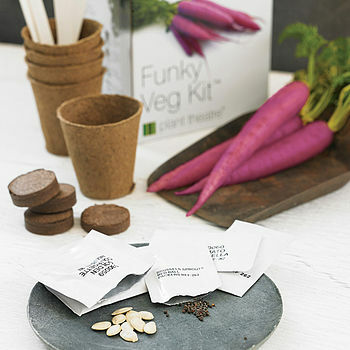 Everything you need to grow five funky vegetables in one kit box. A fantastic gift for any keen or intrigued gardener and/or cook, they will be able to grow purple carrots, red brussel sprouts, stripy tomatoes, yellow courgettes and multi coloured swiss chard. At £13.50 I think this is a great and affordable gift. I’m just looking forward to my invite for tea! Looking for something a little more useful? Check out these fab alarm clocks. Just click your fingers, clap your hands or gently tap your bedside table and the time, date & temperature will alternately appear for you in red LED colour. It automatically switches off when the room is quiet, lighting up again when the alarm goes off or as a response to your clicked fingers or clapped hands. 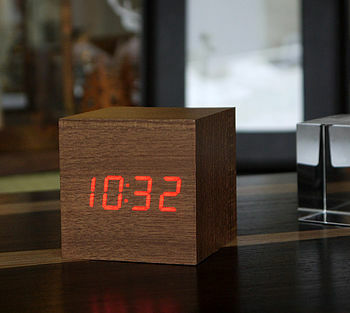 The numbers seem to float on the lovely wooden block, but that’s just half the magic of this cubiod with a conscience. 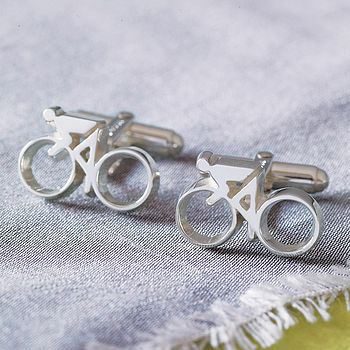 At £28.50 we think these are a bargain. 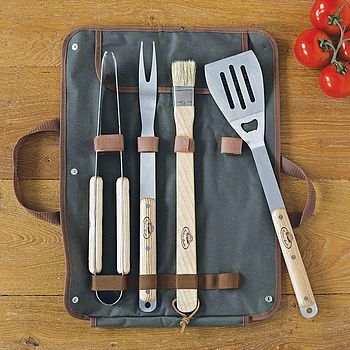 We all know how our dad’s love to be the King of the BBQ, so with Summer just around the corner, keep him happy with this stylish BBQ, at £34.95 we think it is a steal. Rare! 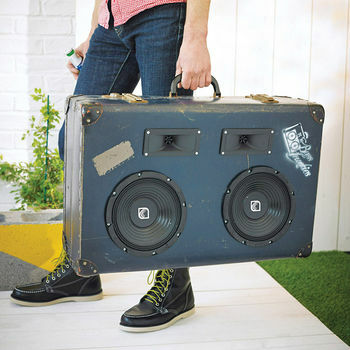 Not to be messed with, as brutal as it is beautiful, the Heisenberg Retro Suitcase Speaker! One of the original members of the trunkie family that has it all; the looks, the sound and the attitude. Incredibly lightweight for its size, this speaker packs a real punch. Complete with two port holes for extra bass reflex. 3. 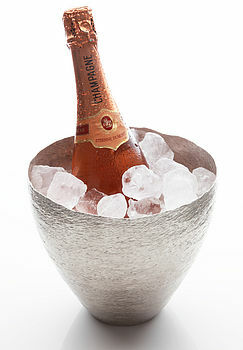 Finally, a very stylish champagne or wine cooler, though if you are willing to spend £2650 (yes that is the price) then you may as well fill it with champagne have n’t you! 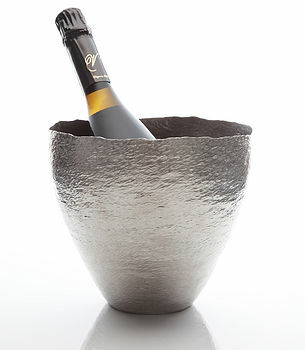 We just love the natural look, hand raised and finished with a hammer texture this sterling silver cooler will last forever. 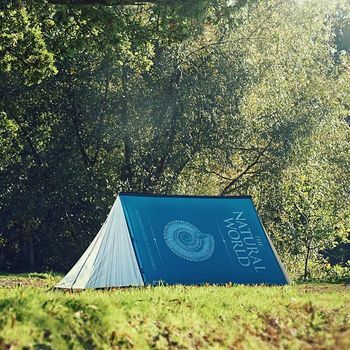 By far the piece we love the most….we just wish we could afford it! If you are anything like me you will love a good festival! I attend them throughout the Summer with friends leaving my children with my fabulous parents! I enjoy the break but think the kids enjoy a break from me too if I am really honest with myself! However, now and again my children, boy aged 15, and girls aged 7 and 6 often are on my case about them going to festivals. As they are getting older I can understand why they want to get involved especially when they see how excited I get! 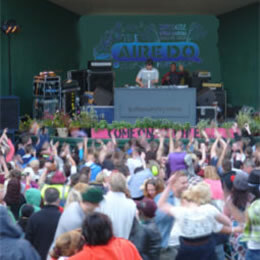 My son has attended Bingley Music Live with friends from school and we have attended the Aire Do!, a festival in Keighley, West Yorkshire, which in the past has showcased the likes of Rudimental and Jake Bugg. Last year when entering the gates at the Aire Do Festival I was surprised to see how excited my two girls were just at the fact they were getting a festival wristband! They are definately likely to follow in my footsteps as they were dancing around in front of the main stage whilst listening to Black Sabbath play Agadoo and zipping in and out of the little dance tent. I began to delve into the world wide web, do a little research and see what I could come up with. There seems to be a real lack of festivals marketed at families, which is such a shame. The ones that are, do appear to be aimed more at older children. For me, I have two age groups to contend with, and the teenager is the more difficult of the two! I did however, come across a festival which is local to me, called Boomerang Jam. It is to take place on Sunday 25th and Monday 26th May 2014 at The Old Brewery, in Leeds. Conveniently located some 7 minutes away from the train station it is easy to reach, or alternatively if you are travelling by car there is a large car park so no need to worry about the travel arrangements, which can often be a big stress for a family day out. The highlights seem to be appearances by Peppa Pig, Fireman Sam, Bob The Builder and Ben 10 amongst others….thats the little ones sorted out then….but what about the teenager? There promises to be stunts by bmx bikers and skaters as well as the dance tent and lots of workshops to keep them entertained. My teenager is also a particular lover of food…any food, but he also appreciates food. Half Pipe and Pro Performers ● Main Stage ● Arena ● Dance Tent● Food Demonstrations ● Mini Farm ● Rock ● Climbing ●Inflatables ● Fair Ground ● Graffiti Artists ● Arts and Crafts ●Stalls ● Competitions ● Breakdancing ● Beat Boxing performances ● and much much more. Boomerang Jam is also part of The Leeds Food and Drink Festival 2014 and will deliver some of the finest cooking displays and tastiest treats Leeds has to offer! I have decided there definately seems to be enough here to keep a 6 year old princess, a 7 year old skater girl and a football crazy, x-box mad, foody teenager entertained. Therefore, I for one shall be giving it a try, and I will of course report back! It is important in these difficult times that the quality time we so desperately seek with our families is time which we feel is well spent and of course value for money. I will be visiting to see if this is what we will be getting. From the face of it, it looks promising so lets keep our fingers and toes crossed and pray to the universe that finally there may just be a family festival which not only promises to deliver a great day out for all the family, but actually does. I had my first child at 17, needless to say I was nt married and the relationship did not last. By 28 I had given birth to my second and third children. I still was not married, nor did the fella ever intend to propose, mainly as he knew he had some sort of control in this matter, and all I ever wanted was the happily ever after. So I planned the wedding, and when our third child was 6 months old, we got married. I was never proposed to, and he never said he wanted to marry me, but he did. I am now divorced. Single again and have been for two years. I am dating, for the first time in my life. I meet men, go on dates and if I want to see them again I do, if I don’t then I don’t. For the first time in my life, I realised I actually had a choice in relationships. My children are older now. I go out with friends, I go on holiday with them, weekends away to festivals and allow myself that time to let my hair down. I am truly living a single life. With three older children in tow. They of course also get my time, but as I am sole carer, with not much of a break I allow myself some freedom now and again. I benefit, but so do they. I had a career at 21, working in a law firm, receiving a large pay check at the end of each month and a decent annual bonus to boot. At 30, I left, I’d had enough of the rat race and returned to university. I am a student. I also work, part time. I had a house at 21, albeit with a mortgage but it was mine. After a failed engagement and then a failed marriage and all the financial implications that came with that (thanks ex-husband for eternally lumbering me with your debt) I now live in rented. Although it is not all bad, as in actual fact this is the first house that actually feels like home to me, since leaving my parents home some 15 years ago. At 21, despite having a child, I had savings. Maybe this was because it was before the recession hit us, I do not know. But I now no longer have savings. Another way I have gone backwards…..? I felt at one point I had it all. Husband, children, career, money. But I did not. I did not have my freedom, nor my happiness. I was sad, and despite being surrounded by my husband and children I felt lonely. Nothing fulfilled me. I felt like a shell, an outline of a person with nothing inside. Empty. I used to be very creative, but all of this had fallen by the way side to make time for my career and my children. I was desperately trying to hold everything together and it worked for a couple of years, but once the cracks began to show, no matter how much I tried to plaster of them, it was just a temporary fix. 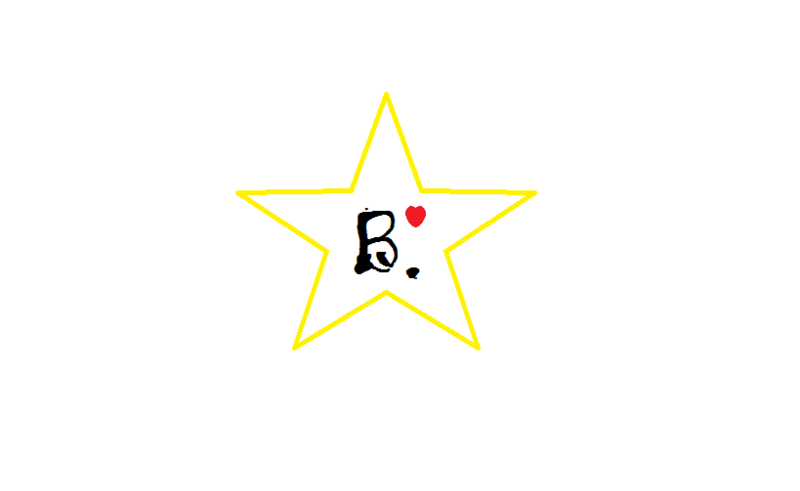 I had to strip back to basics, and reassess my life. At first I thought I had thrown everything away, until I realised I had in fact just began to clear everything away. The things which I no longer needed in my life as they served no purpose, and in fact made me very unhappy. However, I am happier now than I have ever been. I still have problems in my life I have to deal with, but I do not ‘struggle’ to deal with them. I am not constantly stressed out and have managed to develop a ‘whatever will be, will be’ attitude. I believe sometimes we are so conditioned by society that we believe the house, car, husband, children, career blahdy blah is what is going to keep us happy. Having lived that live, it did not work for me, and I know plenty others that it has not worked for either. If you feel unhappy, it is time to assess your life. Do not be frightened, as you have to do this, for yourself. 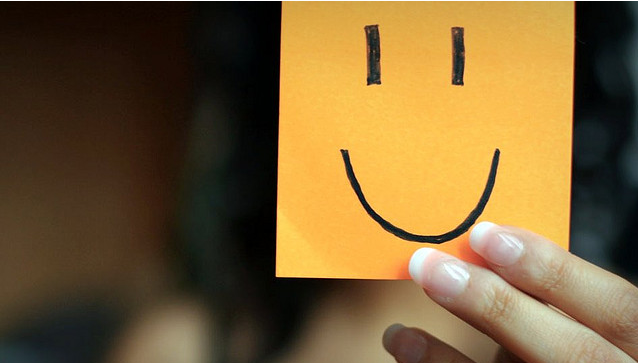 You have a duty to live life in the most happiest, fulfilling way that you can. I had difficulty allowing myself time. I felt guilty, feeling as though I had to be there for my children 24/7. So I not only felt guilty when I went out for dinner with friends, or for a weekend away at a spa, I felt guilty when I went to work! Working 10 hours a day in a law firm, meant most days I did not see my children for more than an hour a day-combined from before and after work. It made it more difficult for me to accept as when I tried to explain it to my husband, he was so money driven (mainly as I paid his bills) that he failed to even consider a reduction in my hours. 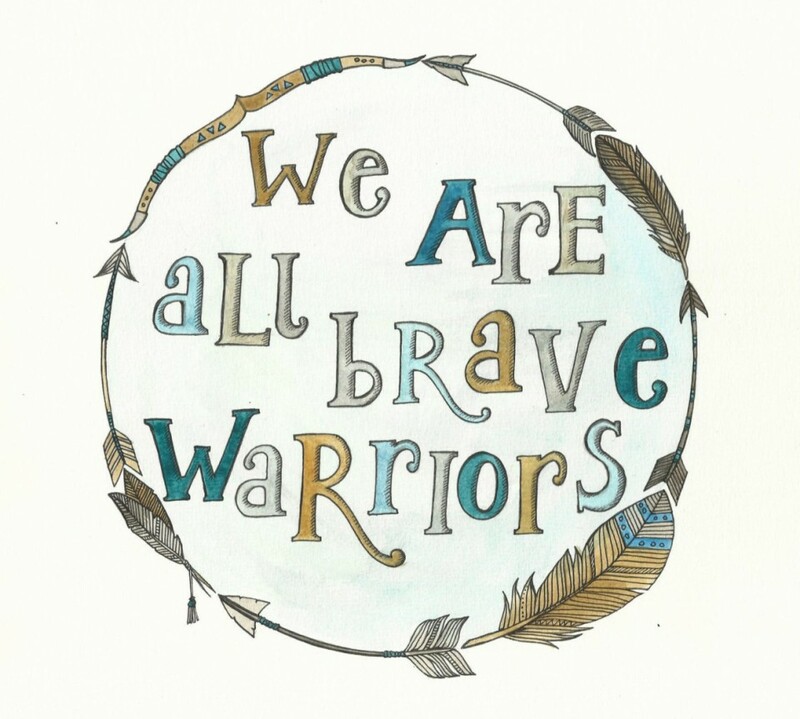 So when I was finally brave enough to take a look at my life, and after my now ex-husband had left, I know the next thing on my list was my work. I had always been interested in people and what made them tick, so I chose to do Psychology. I left my work, which had always served as a security blanket and I took the giant step of becoming a student. This freed up a lot of my time, and now I can take my children to school every morning and collect them from school three days a week. The guilt of not being a ‘proper’ mother (this way my ideal of the type of mother I wanted to be) to my children has gone. Which now means I can also take time out some weekends, guilt-free. Your steps do not have to be as life changing as mine, I am in no way advocating that every one packs in their jobs and gets divorced. This worked for me, and I am still in transition after two years, but every day I am a step closer to where I want to be. So even though I looked as though I was going backwards, (and believe me, many people questioned me, and some thought I was in mid-life crisis) I actually just cleared the decks so I could move forwards. I AM HAPPY. I have to say though my 7 year old thoroughly enjoyed this activity. It did took us just over one hour and there were nt any tears so that in itself was a bonus!